Her work covers international dilemmas, women’s issues as well as personal perspectives. She has received many awards including three NY Emmys. Her recent films on veterans include Warriors Return about the Navajo. She produced two pieces with Patricia Stotter, SERVICE: When Women Come Marching Home and Soldiers Period on women’s fitness to serve in elite fighting troops. She has focused on women in many of her films including "Salt Harvesters of Ghana" (2007) that captures the dignity of women working in a grueling landscape. 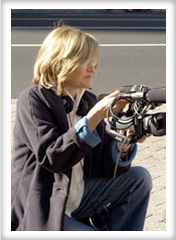 Her documentary on the changing role of women in Northern Ireland, "Daughters of the Troubles: Belfast Stories" (1997) won many awards including the AWRT Grand Documentary Award. She has produced several pieces on New York City and writers. McSorley's New York won an Emmy in 1987 available on Amazon. "Village Writers: the Bohemian Legacy" (1990) recounts the literary history of Greenwich Village. Reynolds Price: a Writer's Inheritance (1989) explores the powerful relationship between family history and art. Rock's films have also gone in more personal direction. "Dancing with My Father" (2003), ponders how adult love is shaped by what a child learns at home and "Surrender Tango" (2006) on Amazon, compares the rules and roles of tango with contemporary relationships. Rock is director of News and Documentary at the NYU Arthur Carter J ournalism Institute and co-author with Marlene Sanders of, Waiting for Prime Time: The Women of Television News. Her work has been featured on Public Television and cable. Her films are currently in distribution with Cinema Guild, Filmmakers Library and Amazon. A two-time Emmy Award winning composer/producer/writer, Patricia Lee Stotter, began her career at 18, singing with the band, Tiny Alice. Upon graduation from CWRU, Patricia composed a folk opera adaptation of Dark of the Moon, produced at The Cleveland Playhouse. Patty then moved to NYC where she composed for dance, television and film. While composer-in-residence at The Writers Theatre, Stotter and poet, Paul Genega's, musical, Happily Ever After was produced there. Other work from that period includes Unchained Memories (HBO), Spirit to Spirit (PBS), Discovering Women (PBS), From the Ashes (Deborah Shaffer/Bacchus films), Reading from the Heart (HBO), Three Sisters (HBO) and Sesame Street. 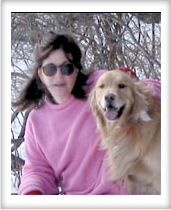 In 2001, while composing for the films of others, Stotter began writing and producing her own theatre/film projects including the animated film Suicide Notes: with Elise Tak and Flashback, a testimonial theatre piece with Penny Coleman and Elena Michelson. In 2008, Stotter and Marcia Rock launched the social media/facebook groups of the the award-winning multi-platform documentary project Service: when Women come marching home. The film that grew out of those groups was screened on Capitol Hill on June 19, 2012, broadcast on PBS. and won an Emmy. Rock and Stotter continued their work about women in the military with the short film, Soldiers Period, picked up by Buzzfeed. Three other films Stotter worked on have been screened on the hill: Justice Denied; Warriors Return; and Is Anybody Listening? While (always) working as a composer for hire, Stotter's own works-in-progress are Paging Dr. Faustus,-- a collaboration with Paul Genega, Mark Pinto and Don Rebic; We Are All Prisoners of War -with Mark Pinto, for the exhibition: 'A New York State of Mind (Stories from the unusual suspects)' In De Cacaofabriek, Helmond, The Netherlands September 2 thru October 14, 2018, curated by Elise Tak.